The former has a very real impact on the latter. Among Dorothy’s most egregious deeds, however, was her consistent and unnecessary use of jargon. I would see the looks on our clients’ faces when she would speak. She would condescend. She would talk “at” and “around” her audience, not to it. Big mistake. Dorothy soon took maternity leave and eventually left the company. 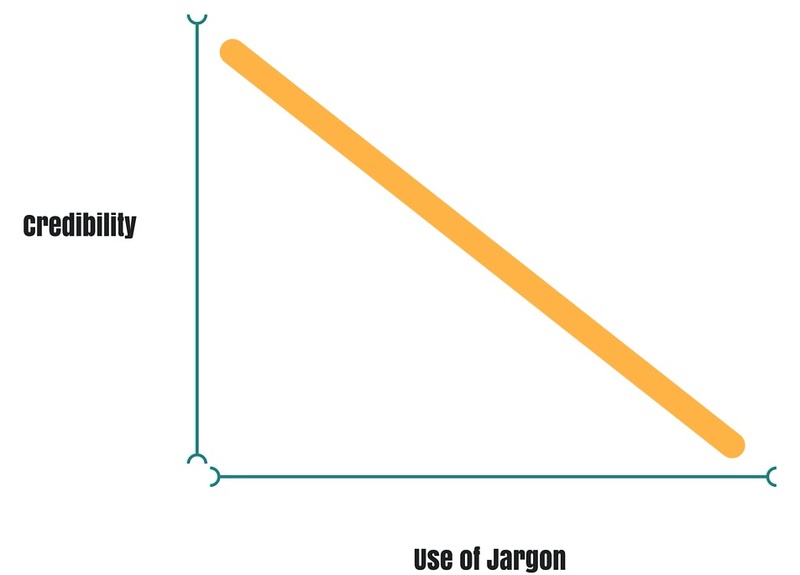 The more jargon you use, the more your credibility suffers. My new manager Gary (again, a pseudonym) was a breath of fresh air. By way of background, he was a former application consultant. As such, he communicated in a simpler, far more forthright manner than Dorothy. Clients and employees just responded differently to Gary. He came across as less suspicious, even when he had to convey bad news.